Ranch style home with welcoming wood floors & open plan. Main level is wheelchair accessible! Unique Kitchen w/vaulted wood ceiling & open to loft above. 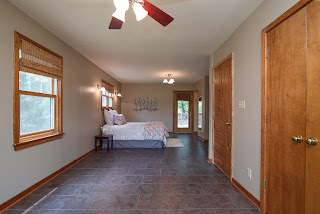 2nd floor offers a bonus 2nd Master Suite! Recent big ticket updates: hvac, windows, roof, interior & exterior paint, refinished hardwoods. 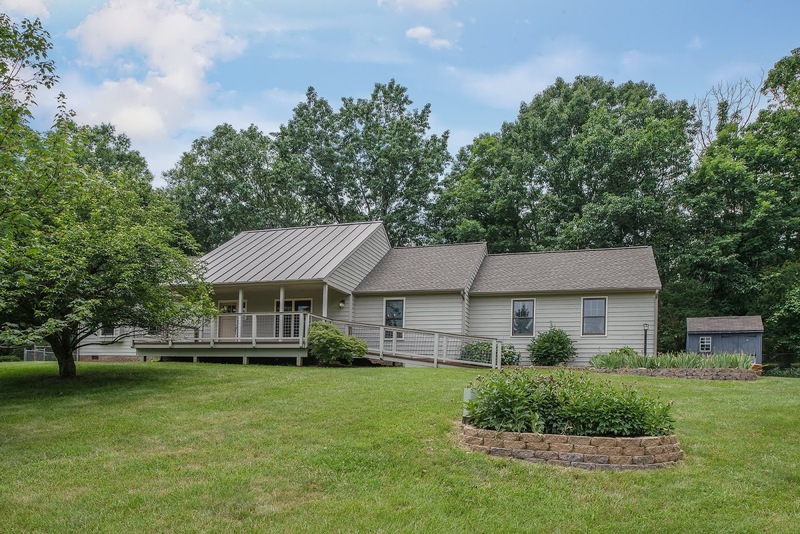 Peaceful setting w/great yard on over an acre, backs to trees, & sits back off the road. Amazing location! Fredericksburg is great because you have the old town flair downtown, the suburbs all around and are 1 hour from DC or Richmond for fine dining or events. It also has the river which we loved going to visit. One of our favorite places to go include Goolricks Drug downtown. It may seem strange but a friend and I went there every Friday for years for coffee and to talk and color. We also love going to Harry’s which is in Harrison Crossings. It is a full restaurant and beer tap house. Our neighborhood is great because it is a bit of the country but moments away from everything you need. We chose our home because we loved the distance off the road and the trees in the back. 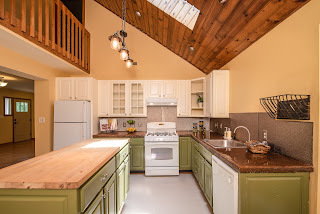 The vaulted ceilings in the kitchen were a selling feature. We also liked the warmth of the hardwood and wood trim. When we were hunting for a home we chose this one impart because of the first floor; everything is on the first floor with the bonus of a second master upstairs. With one of us in a wheelchair, it was very workable for us. 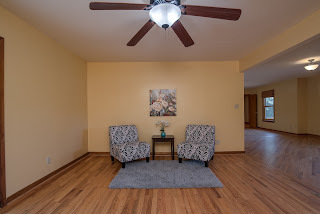 In the last 5 years we have replaced or refinished all the downstairs floors, remodeled the kitchen, and the hall bath. We also put on a new roof, added an extension to the front porch, had the whole inside painted and had the outside painted, too. We loved the house and did not intend to move. Our loss is your gain.